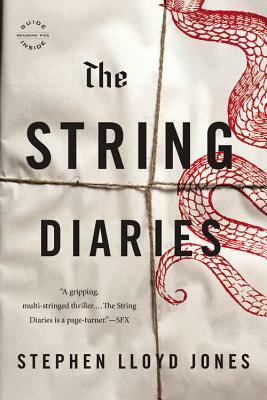 The String Diaries opens with Hannah frantically driving through the night--her daughter asleep in the back, her husband bleeding out in the seat beside her. In the trunk of the car rests a cache of diaries dating back 200 years, tied and retied with strings through generations. The diaries carry the rules for survival that have been handed down from mother to daughter since the 19th century. But how can Hannah escape an enemy with the ability to look and sound like the people she loves? Stephen Lloyd Jones's debut novel is a sweeping thriller that extends from the present day, to Oxford in the 1970s, to Hungary at the turn of the 19th century, all tracing back to a man from an ancient royal family with a consuming passion--a boy who can change his shape, insert himself into the intimate lives of his victims, and destroy them. Stephen Jones studied at Royal Holloway College, University of London and is the director of a major London media agency. This is his first novel. The String Diaries is a very good book. The book covers a few different genres that would be enjoyable for a lot of people. This was a thriller and a mystery that kept me turning the pages all night long. Jones did a very god job with the pacing of this book and making the characters really interesting. All in all this book was a great read.